Have you ever wanted to get rid of a pesky problem such as a boo or man that will not not take a clue? Well this is the post for you! Take lessons from Déjà Vu‘s Xu Yo Xi on how to get rid of your man in 10 episodes or less. Déjà Vu is a show that I have been absolutely in love with since the first episode. The romance, the music, the ultimate point it is trying to convey about selfless love and happiness– It has completely won me over. Granted, it has certain aspects that I wish were different, but we can count that to 2013 being the year where the mass majority of dramas watched (Korean, Japanese, Taiwanese), I needed things to go down in another way. Déjà Vu is about a young ballerina named Xu Hai Lin, saves a man, Lu Xi Wei, from a burning building— they fall in love. 5 years later, he proposes and finds out that she is pregnant, true bliss. Due to a drunk driver, they get into an accident and she loses her fiancé and her baby. In an attempt to kill herself, a spiritual being gives her the chance to go back before the moment she met her love and change their lives. Now that she has gone to the past and lived through the five years she knew Xi Wei without him, she finally runs into him again! Keep in mind we are in the altered universe due to her Hai Lin changing the course of history. He (Lu Xi Wei) is the General Manager (GM) at the company that she works for and is engaged to her half sister Xu Yo Xi. I will explain to you how Yo Xi has pushed Xi Wei back into the arm of her sister, Hai Lin, in these 10 episodes. Lesson 1: Want him when you can’t have him; try to be an intruder. Yo Xi tries to be interesting but only succeeds at annoying Xi Wei in the first 5 years before Hai Lin decides to alter history. Yo Xi lied to herself in believing that she could have him when he is adamantly in love with Hai Lin. Lesson 2: Cover you true motives in kindness… And lie. 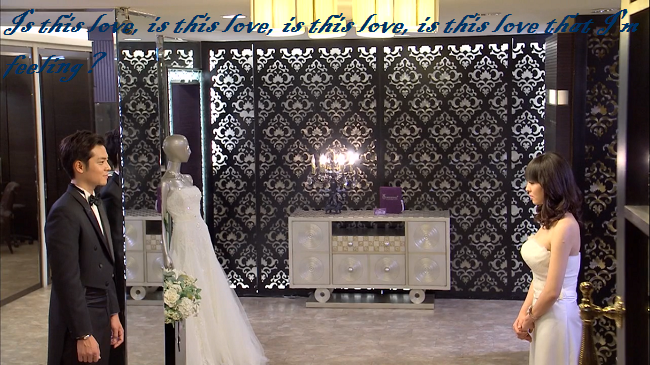 In the second episode, we discover that Yo Xi is now engaged to to Hai Lin’s GM/”dead” ex- boyfriend Lu Xi Wei. 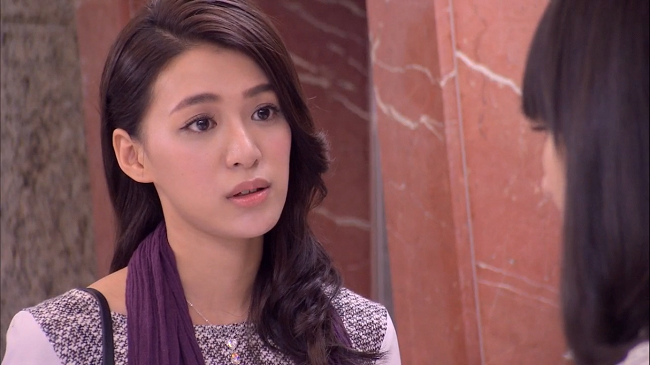 Hai Lin decides to leave the company and avoid complications with her past and present. Xi Wei is asks her to stay to no avail. Yo Xi takes upon herself to ask Hai Lin to stay to make herself seem like the loving, innocent, kind sister/ fiance people imagine her to be. All the while she is wishing, hoping, and cracking coconuts that Hai Lin would turn in her Resignation. Stupid moves like this result in Hai Lin staying and getting egg on your face. Great job Yo Xi. Lesson 3: Defame the character of your enemy counter to what people know to be true… And lie. At every turn Yo Xi tries to make up lies in regards to her young sister Hai Lin. She tells Xi Wei the reason she never talks about her is because she is a liar and manipulator, and offers this as another excuse as to why she never mentioned the fact she had a younger sister in the past 5 years. Yo Xi gives a warning to Hai Lin to stay away from Xi Wei and makes it a point to tell Hai Lin that she has the “genes” of an intruder aka being the “other” woman like her mother. Granted we have no idea what really happened between their parents, but I am willing to bet that if Yo Xi is anything like her mother, there is another story to be told in what really happened between the two mothers and their father. If Yo Xi would have kept her mouth closed, Hai Lin would have left and there would be no need for this conversation. Lesson 4: Give your man and “enemy” reason to be in close proximity outside of the job. I.e. Asking her to be your maid of honor… And lie. My mind was blown when Yo Xi asked Hai Lin to be her maid of honor. She had to do this because she was caught in a lie about saving Xi Wei’s life at the end of episode 3. Yo Xi is willing to stop at nothing to make Hai Lin out to be the “bad gal”. She even went as far as to send a text from Hai Lin’s phone to Xi Wei to make him think Hai Lin was trying to come on to him! See how she had the nerve to come out the dressing room like she was an innocent bystander? Trust me, you can’t teach this cray cray in school (be glad she is offering free lessons)! Lesson 5: Allowing others to dictate your relationship and feed into your insecurities… And Lie. Yo Xi has a terrible habit of listening to her crazy a** mother. Not that people should not listen to their parents when they are offering prudent advice, but when you see how your mother has crippled your dreams for her revenge, how she puts you down at every turn, and see how miserable she is, I would think you would not listen to her. Since she is backed into a corner (by her own doing) she bullies Hai Lin and tries to make her leave the company. When Hai Lin says she will not leave, she moves to phase two. 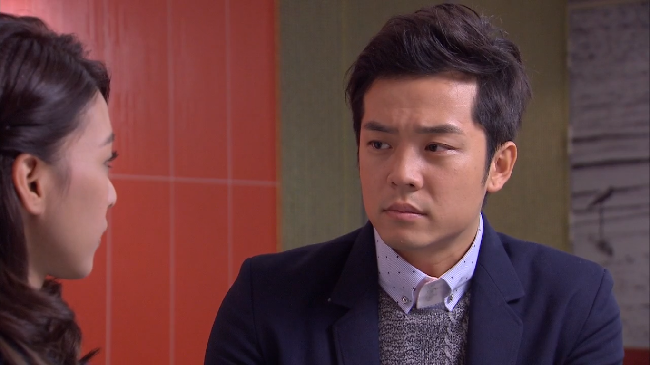 She manipulates Xi Wei to have Hai Lin transferred. While Xi Wei goes along with this plan, little does he know Yo Xi only offered it as a way to get rid of the “fly in her ointment”. Now that her mother has poisoned her once again, she is always asking Xi Wei if he loves her, that he will never leave her, and if he likes Hai Lin more than her. I am in no means an expert on the inner workings of a man, but this insecurity would get old real quick. If he feels that he cannot depend on you with the small things because he is always having to reassure you of things you should know and trust, it seems probable that he will notice when others believe and trust in him i.e. Hai Lin. Lesson 6: Trying to seem selfless while in turn being selfish… And lie. When Xi Wei asks Yo Xi to give a dance performance at the company’s charity event, she is more than happy to use this opportunity to impress his grandfather (who by the way does not like Yo Xi because he thinks she is cunning and manipulative). While backstage, she uses this time to bully Hai Lin even more. She says that now that her life is in order, it will be only a matter of time before Hai Lin is kicked out of the company. I swear, if Yo Xi used this energy that she uses to be the wicked step sister from Cinderella on being the best damn fiance she could be, she wouldn’t have to worry about Xi Wei being swayed by another woman. Lesson 7: A. Try to invoke sympathy while using underhanded tactics. Due to the catastrophe of Yo Xi not being able to dance on stage, she is in the hospital with an injured foot. She believes that Hai Lin purposefully left a piece of glass on the floor to cut her foot so she would not be able to dance and impress Xi Wei’s grandfather. While in the hospital, Xi Wei asks if she really believes that Hai Lin would purposefully hurt her. She says there is no other logical explanation… Xi Wei now has ?? in his eyes about Yo Xi. B. Show up at your man’s grandaddy’s house (knowing he doesn’t care for you) unannounced. Granddaddy has taken a liking to Hai Lin because she injured herself while trying to save face for the company. When Xi Wei mentions that he is on his way to Granddad’s house with Hai Lin, she immediately leaves the hospital to go make a visit. Bad move since you know Grandaddy ain’t thinking about you Yo Xi. C. Ask thought provoking questions to your man and not give him time to answer and refuse his calls to give him more time to think about it. When Xi Wei takes Hai Lin home, he and Yo Xi get into an argument about why she is always so insecure and doing unnecessary things. She asks him the question if he has started to gain feeling for Hai Lin… Good question Yo Xi, but you know you have no desire to hear the answer. Hence why you refuse to take his call for a few days, though she said it is to teach him a lesson. D. Try to badmouth your enemy to a complete stranger who knows what you are up to…And lie. Yo Xi runs into the designer, Feng Qi Xiang, who decided to help Xi Wei solely based on Hai Lin. When she tries to badmouth Hai Lin (unknowing that this man is seemingly taken with her sister) She learns a quick lesson about keeping your mouth shut. Love it! But we still have 3 more lessons before things come to a halt. Lesson 8: A. Constantly give your boo reason to doubt you. Things started to fall apart because in an interview Xi Wei mentions how Yo Xi gave him a bracelet that say “Bliss”. Little did she know that this was a memento that Hai Lin’s mother gave to her. When Hai Lin’s mother sees the interview, she instantly knows it is Hai Lin’s! When she goes to confront Yo Xi and Xi Wei about it, Yo Xi lies saying that Hai Lin gets her lying ways from he mother and that they always do that when life isn’t going the way they plan… Sounds more like you and your mother Yo Xi. B. Kiss your fiancé’s cousin and get him to distance himself to save face… And lie. “What ExtraKun? She kissed her fiancé’s cousin”!? Why yes, yes she did. Come to find out while they were in US, they stayed with Lu Xiang Kai for awhile. One drunken night, Yo Xi admits to Xiang Kai that not once, has Xi Wei ever touched or kissed her! Foolishly, she allows him to kiss her in Xi Wei’s steed. Once Xiang Kai returns to Taiwan, he plans to destroy Xi Wei to get the love of his life Yo Xi to love and be with him. Since Yo Xi knows this, she warns Xi Wei to stay away from his own family. Xi Wei, already irritated with Yo Xi for so many things, tells her that he will never be doubtful of his family like her. What makes this so sad is that Yo Xi has a point, but all her lies and deception has caused Xi Wei to lose any faith he had in her. Lesson 9: A. Trying to distract him from work with silly issues. While Xi Wei is trying to launch a new brand of bikes for his company, he has his people working around the clock to make this thing happen. Knowing this, Yo Xi is still insistent on bothering him with things he has no time to focus on i.e. planning a wedding. They are supposed to sit and go through wedding things after the bike launches into the local market. B. Opening a box that’s not yours and refusing to see the truth— this man doesn’t love you… And lie. Yo Xi, Yo Xi, Yo Xi! My mom always taught me not to touch things that were not mine… Perhaps this was a lesson that was neglected in the School of Rancid Wenches Incorporated, owned by your rancid mother. Xi Wei buys Hai Lin a music box (which he bought her in the first 5 years when they were dating) to show his gratitude for saving his life (another time) and for helping to save the charity event. When Yo Xi opens the box and sees the note with Hai Lin’s name on it she flips out. Lesson 10: A. Not telling the truth from 21 jump street. Sh*t hits the fan as the truth is revealed that Yo Xi lied to Xi Wei for the last 5 years about saving his life. B. Failing to realize the first lie built lie upon lie, resulting on your ultimate demise and loss of your man! Xi Wei never was in love with you but only felt gratitude towards you. When he tried to break things off amicably, Yo Xi refused to listen. Resulting in Xiang Kai setting up the pictures of Hai Lin saving Xi Wei to be exposed and him running over to the arms of another woman. There you have it! 10 steps how push your man away. Everything that happened to Yo Xi resulted in the moment she decided to lie to Xi Wei about saving his life. She even had 5 years to fess up but chose against it. It is like my daddy used to say, “You have a 50/50 chance of telling me the truth and getting into trouble. But if you lie to me, it a 100% guarantee!” Peace!